DAYTONA BEACH, FL – With the addition of AF Corse in the GT Le Mans class, the roster of teams using Motegi Racing wheels entered in the Rolex 24 at Daytona this weekend is perhaps its strongest ever, and there is a strong possibility of a sweep of the two GT classes in the season-opening IMSA Tudor United SportsCar Championship race at Daytona International Speedway,. AF Corse will battle an impressive entry list for the GT Le Mans class honors at Daytona. AF Corse is the defending 24 Hours of Le Mans LMGTE Pro champions and swept the FIA World Endurance Championship Driver, Team and Constructors titles in 2014. They come to the USA in an attempt to add the Rolex 24 crown to their impressive list of accomplishments, and have entered their famous No. 51 AF Corse Ferrari 458 Italia for WEC co-champions Toni Vilander (Finland) and Gianmaria Bruni (Italy), who will co-drive with Emmanuel Collard (Franc) and Francois Perrodo (France). A Motegi vs. Motegi battle could shape up in the GT Daytona class. Townsend Bell (San Luis Obispo, CA) and Bill Sweedler (Westport, CT) return as defending champions in the same Ferrari 458 Italia they won in last year but this season the car wears No. 63 and is being prepared by Scuderia Corsa. Jeff Segal (Philadelphia) was a member of the winning team last year and returns with newcomer Anthony Lazzaro (Atlanta). Another strong GT Daytona entry is the No. 33 TI Automotive/Viper Exchange Viper GT3-R prepared by Riley Motorsports that won two races last year. Ben Keating (Port Lavaca, TX) is the lead driver and Jeroen Bleekemolen (Monaco) will be his regular partner this season. 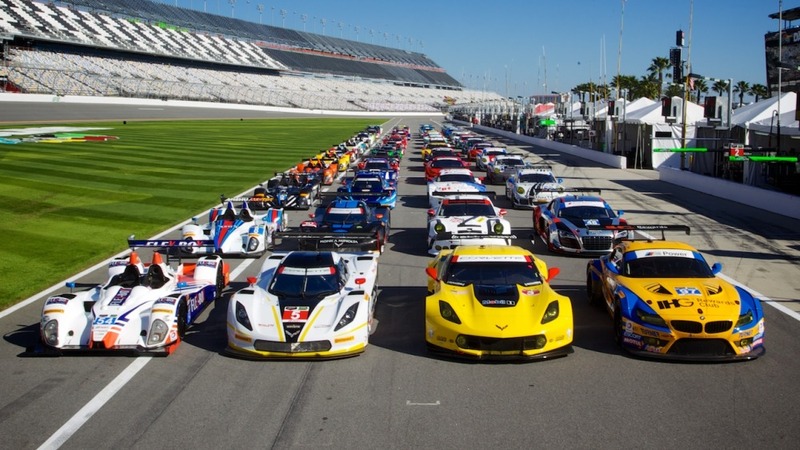 They will be joined by Al Carter (Greenville, DE), Marc Goossens (Belgium) and Sebastian Bleekemolen (Monaco) at Daytona. Another noteworthy Motegi Racing wheels team is the SpeedSource Skyactiv-D prototypes, which showed steady improvement during last season’s first year of its development program. Jonathon Bomarito (Monterey, CA) is a new addition to the driver lineup, and he has impressive credentials having helped Viper win the GT Le Mans championship last season. He will be Tristan Nunez’ (Boca Raton, FL) regular co-driver in the No. 70 Mazda, replacing team owner Sylvain Tremblay (Parkland, FL) as a full-time driver. Tremblay will co-drive both Mazdas at Daytona but will focus on team management most of the time. Indy Car star James Hinchliffe (Canada) will be the fourth driver in the No. 70 Mazda at Daytona while the No. 07 Mazda will be driven by Joel Miller (Hesperia, CA) and Tom Long (Raleigh, NC) full season with Ben Devlin (England) joining them at Daytona. Riley Motorsports, AF Corse and Scuderia Corsa will enter second cars in the Rolex 24 – all in the GT Daytona class. Keating and Carter are also listed as drivers for the No. 93 TI Automotive Viper GT3-R, along with 2014 GT Le Mans champion Kuno Wittmer (Canada), Dominik Farnbacher (Germany) and Cameron Lawrence (Windermere, FL). AF Corse has entered the No. 49 Ferrari 458 Italia for Michele Rugolo (Italy) Pasin Lathouras (Thailand) Rui Aguas (Portugal) and Rene Rast (Germany). Scuderia Corsa has entered the No. 64 Ferrari 458 Italia for Francisco Longo (Brazil), Daniel Serra (Brazil), Marcos Gomes (Brazil) and Andrea Bertolini (Italy).